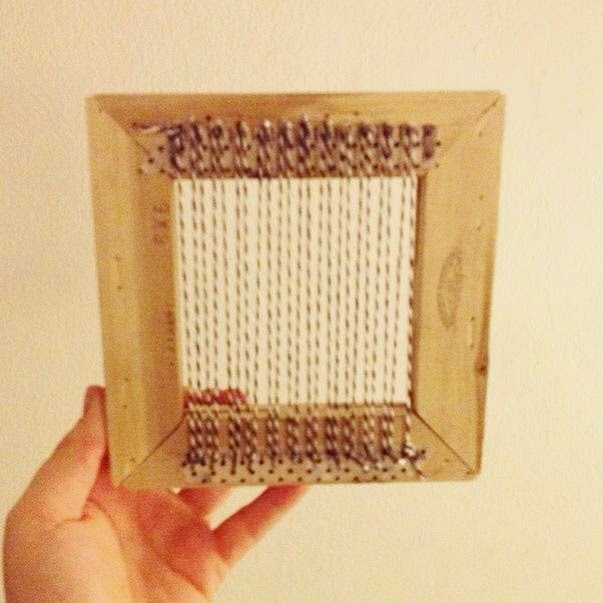 After finishing my 'large' weavings (see here and here), I decided to make a small loom that I could make little baby weavings and practice some different techniques. 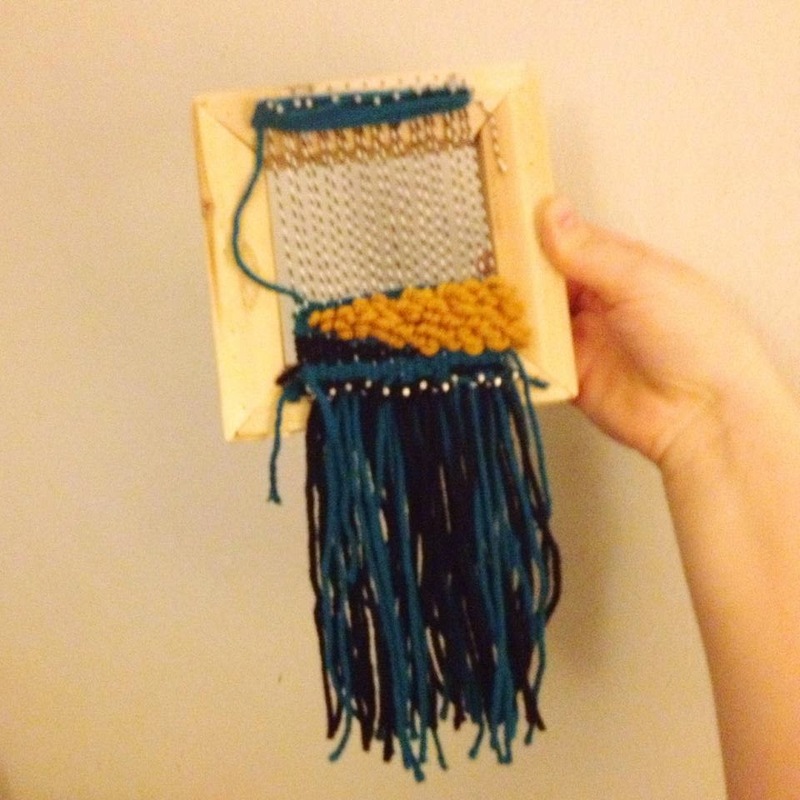 The smaller weavings are nice to try out some different color schemes and ideas before I commit to a larger more time consuming weaving. 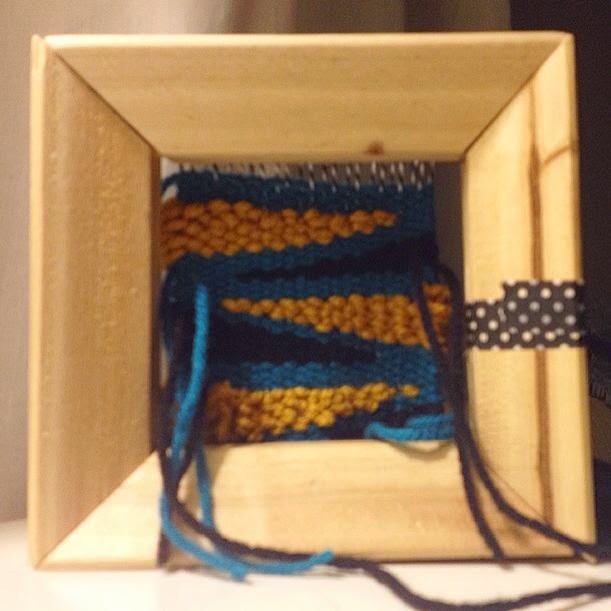 I was inspired by all of the mountains on our trip to Bethesda, Maryland and made this small weaving. I think this would look better if I had more of a gradient for the mountains, but I was working with what I had. 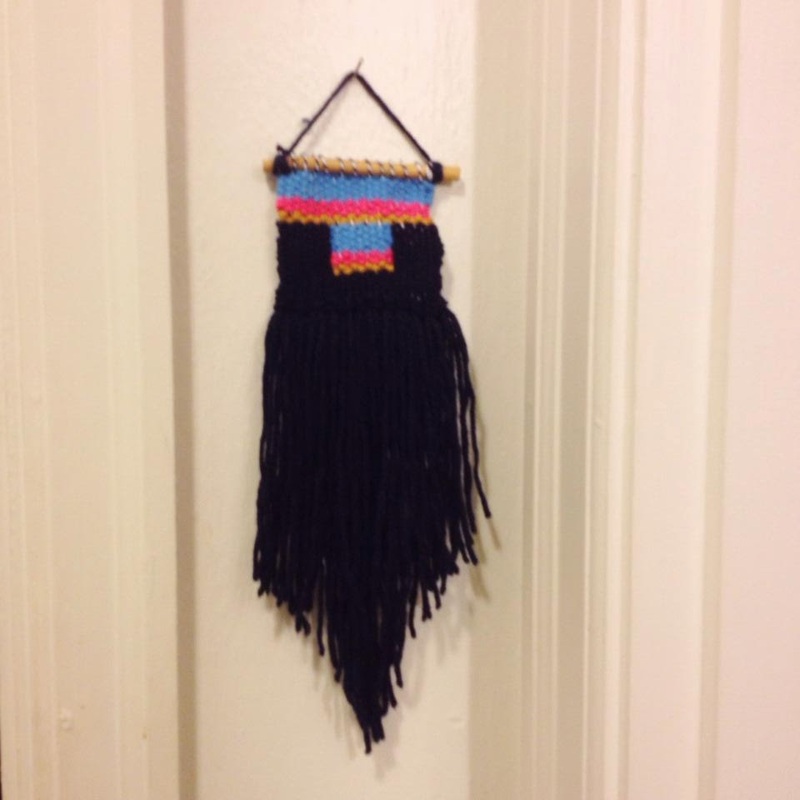 This was my first piece that I was working with more of a free form pattern than my other straight/geometric weavings. 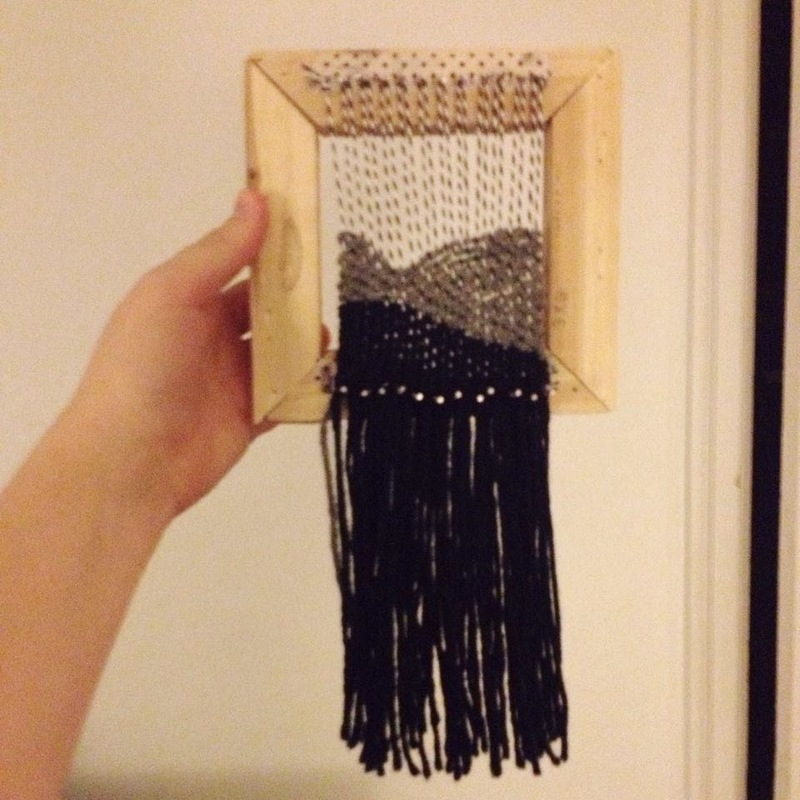 I would love to make a larger weaving with this idea. 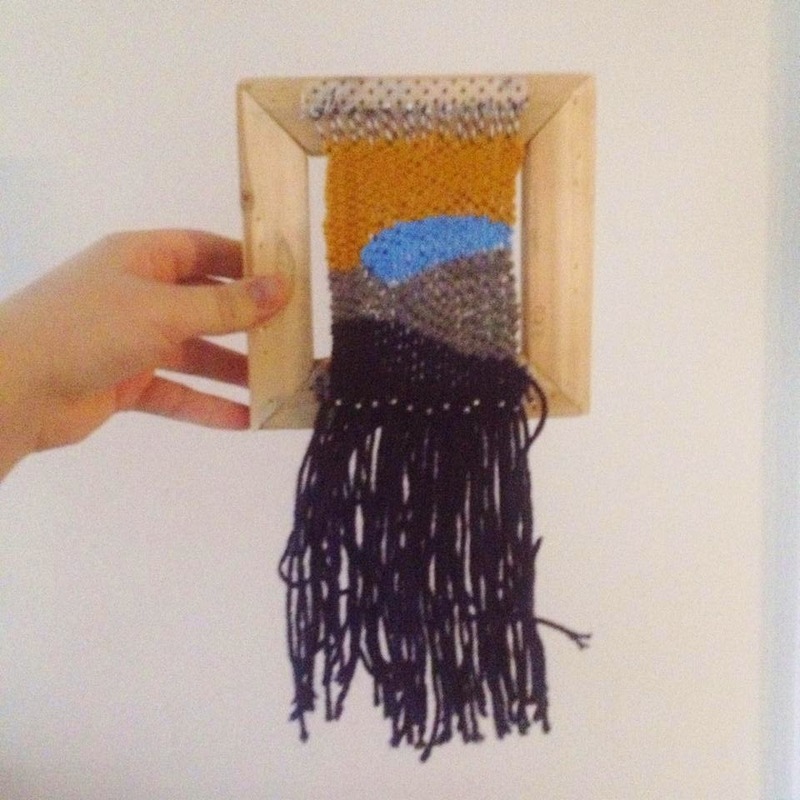 Sidenote: I LOVE this mountain weaving that WillowBrookeDesign just shared on Instagram. 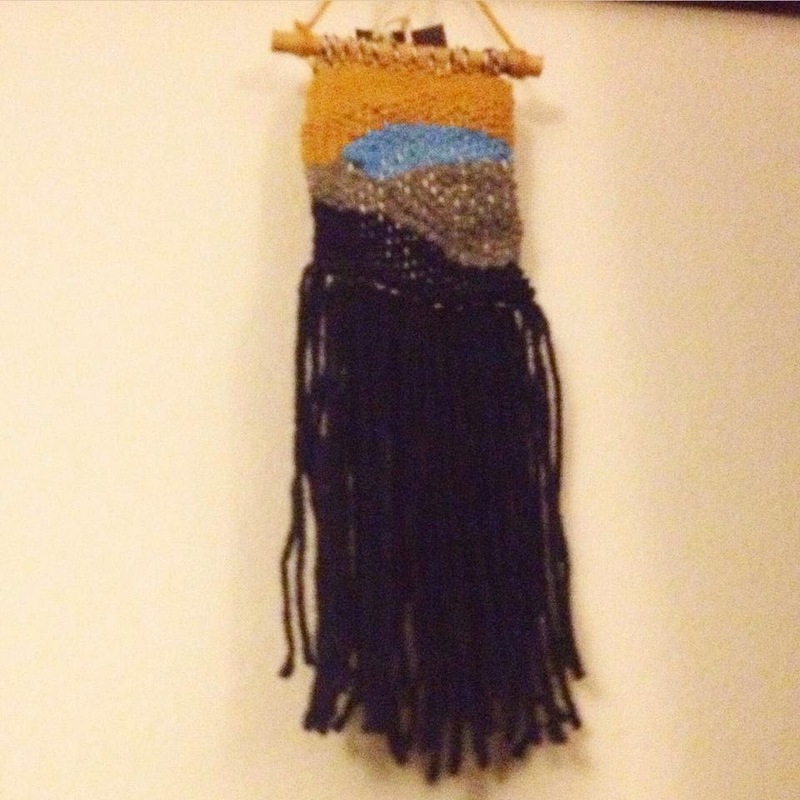 This weaving was inspired by a date night sunset. The sunset was reflecting off of the windows of a building and created this step like pattern contrasting with the dark building. I love this one because it reminds me of that date night and Ben says this is his favorite. 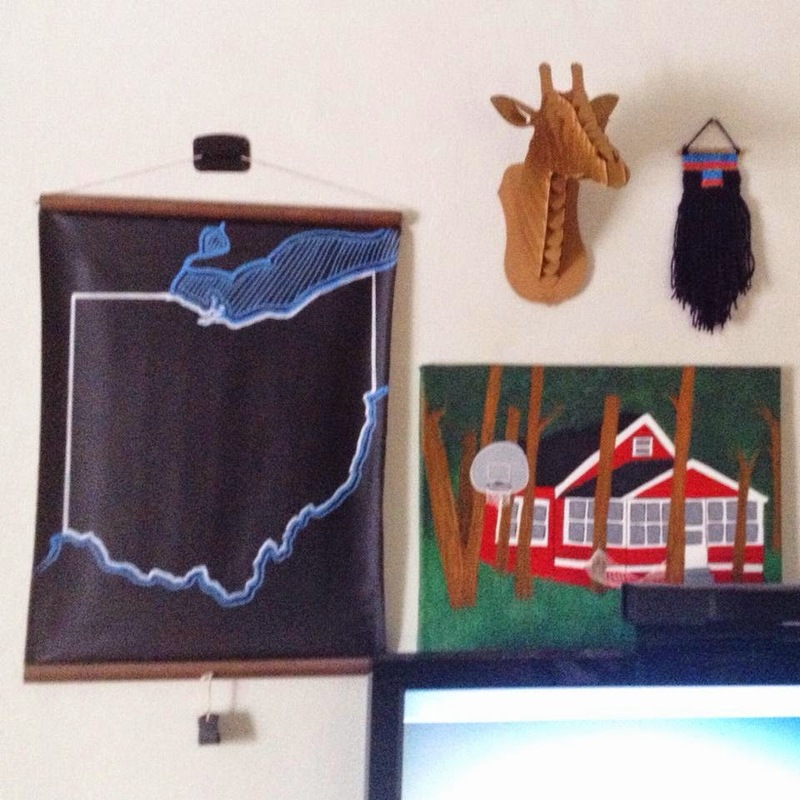 We have this hanging in our living room gallery wall, so we see it practically 24/7. 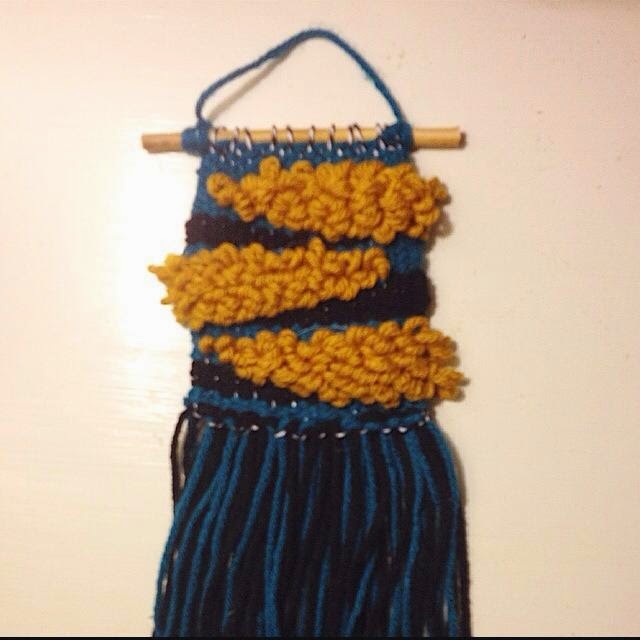 I just went with the flow for this weaving. I started with the fringe using some scrap yarn and then finished off the body pretty quickly with the fluffy white yarn. I've seen some pieces like this around Instagram, so this is nothing unique. I loved that this took such a short amount of time (something I don't have a lot of these days) and the finished product is pretty cute. 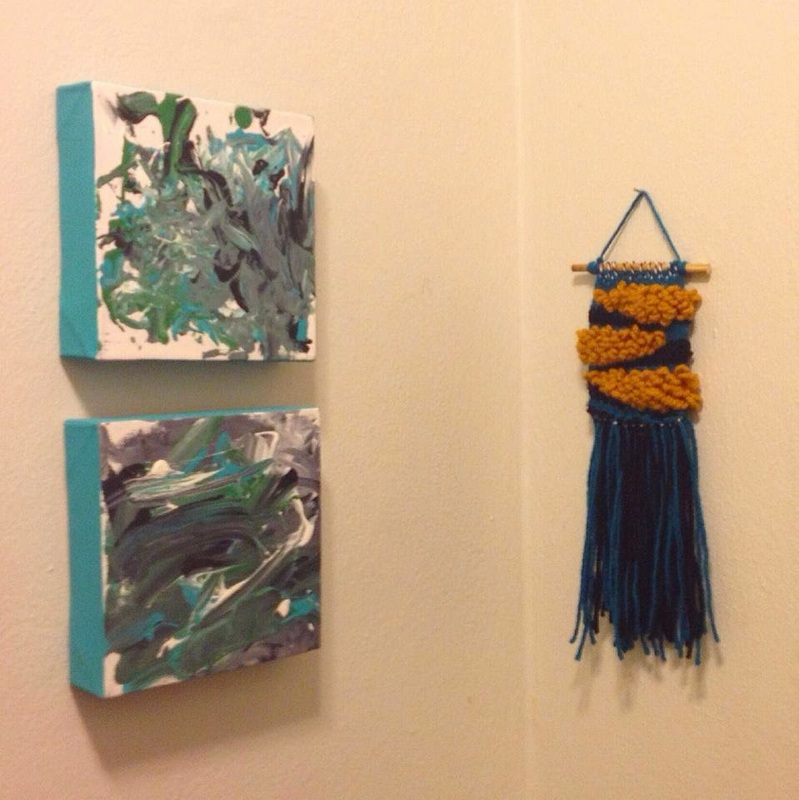 Which one is your favorite baby weaving? 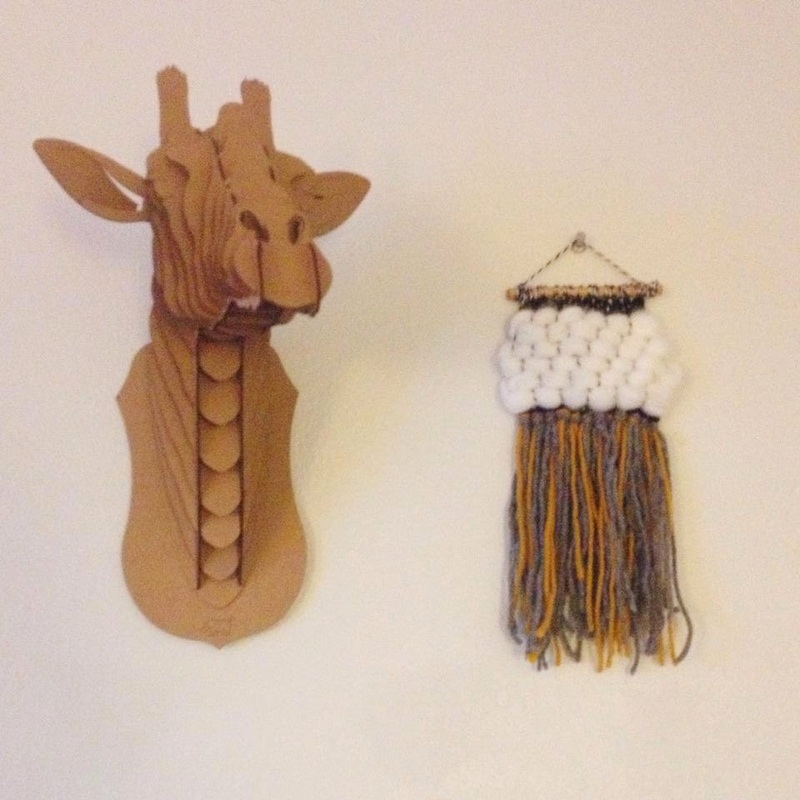 Where is the most random place you've found inspiration?